Summertime is officially here – and there’s just nothing better than a nice, cool, summertime dessert to help with the rising temperatures. We’ve compiled a list of 10 Summertime Desserts that would be perfect to make for a summer gathering or to just enjoy yourself at home! 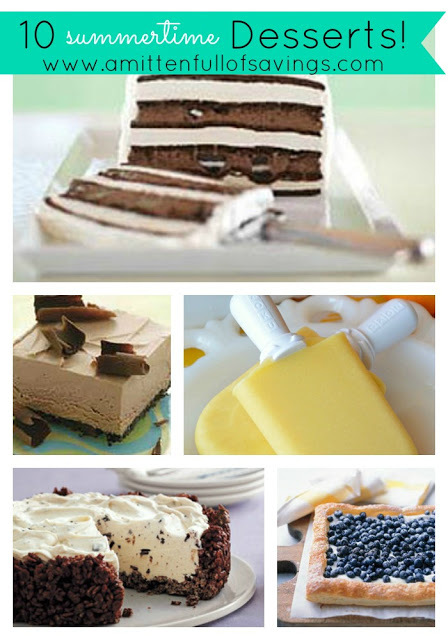 From Ice Cream, tarts, cakes, and even mousse – all of the options are covered! So sit back, relax, and sift through these nice cool summer desserts! Just click on the link below to be re-directed to the recipe page for more info on each one! And if you try one – please let us know how you liked it!